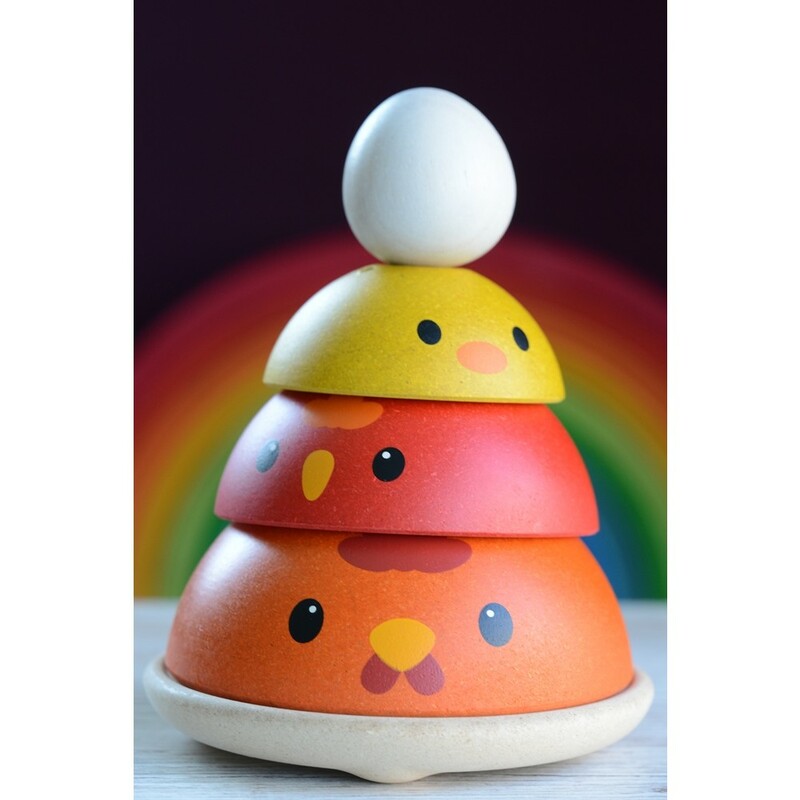 A quirky chicken stacking toy that little ones will just love. 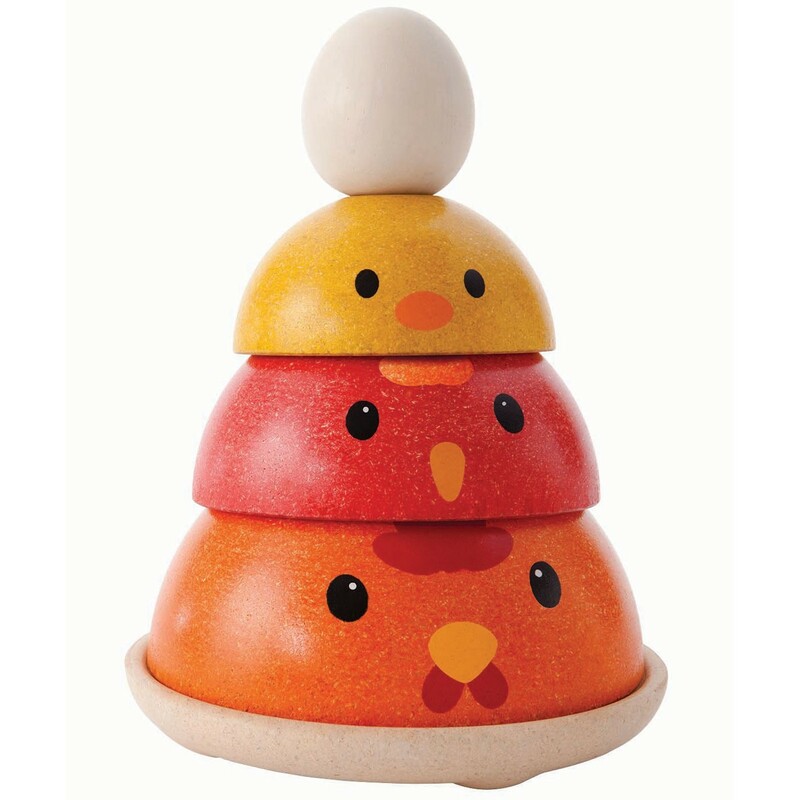 A circular base with three chicken pieces and an egg that can be stacked on top of each other in all sorts of funny ways. 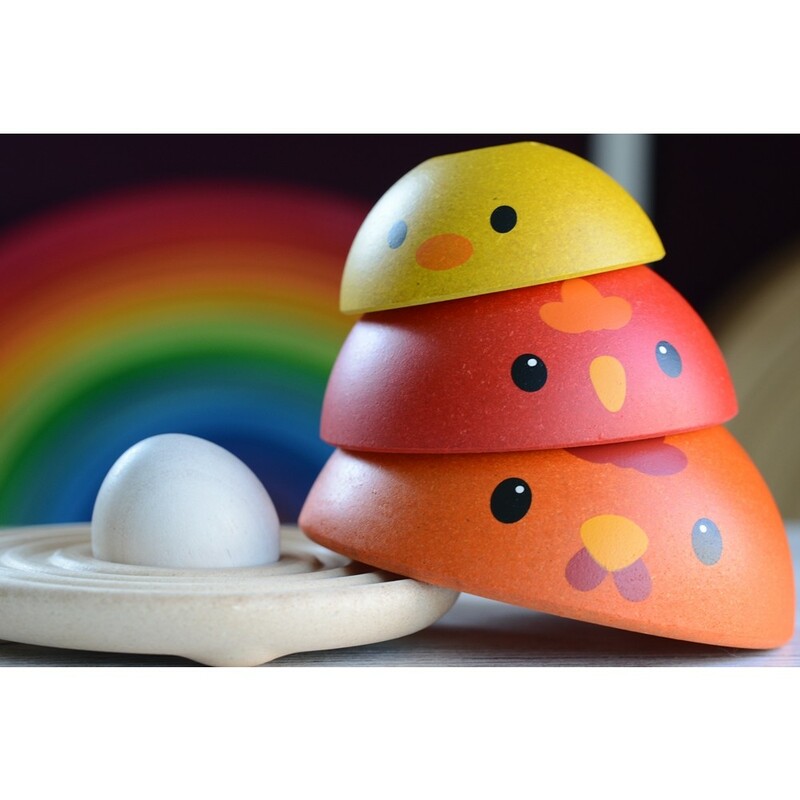 The half spheres have chickens painted on them and can be stacked or hidden within each other. 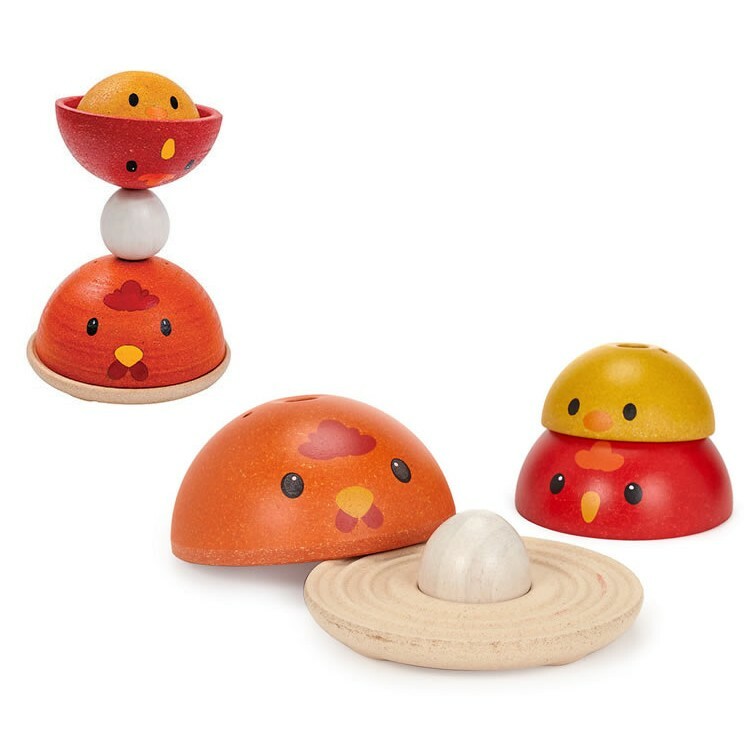 Children can experiment with the various formations and you can tell chicken stories too. 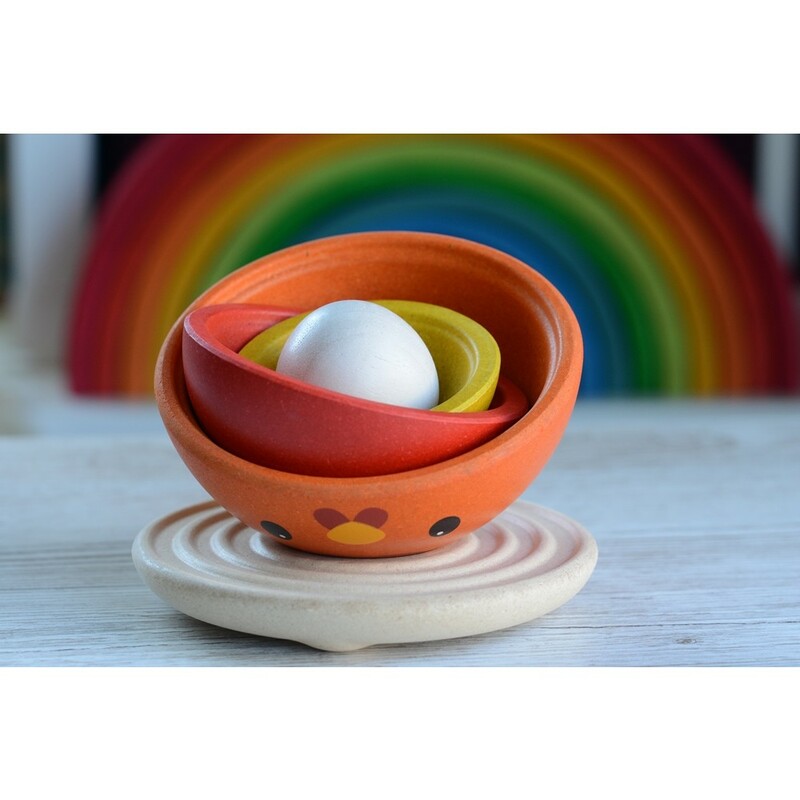 Which came first, the chicken or the egg? Base diameter is 14cm. 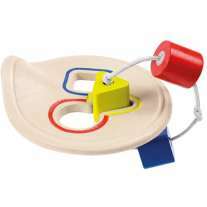 Recommended for 12+ months.